Glory Ltd. of Himeji, Japan, filed a UDRP against the aged domain Glory.com. Registered in 1995, Glory.com has been in the current registrant’s possession for 14 years. According to the documents of this UDRP, the Respondent paid $115,000 dollars to acquire Glory.com in 2003. It sought $10 million USD from the Complainant, when they inquired about it. The Complainant operates from the domain Glory-Global.com. Surprisingly, the three member panel at the WIPO gave two out of 3 points to the Complainant: the domain infringes on the GLORY mark, and that the Respondent does not have “legitimate interests” in the domain. The three member panel ordered Glory.com to remain with the Respondent. Glory Ltd. v. MicroStrategy, Inc.
Complainant is Glory Ltd. of Himeji, Japan, represented internally. Respondent is MicroStrategy, Inc. of Tysons Corner, Virginia, United States of America (“United States”), represented by WilmerHale, United States. The disputed domain name <glory.com> is registered with CSC Corporate Domains, Inc. (the “Registrar”). The Complaint was filed with the WIPO Arbitration and Mediation Center (the “Center”) on September 28, 2017. On September 29, 2017, the Center transmitted by email to the Registrar a request for registrar verification in connection with the disputed domain name. On October 3, 2017, the Registrar transmitted by email to the Center its verification response confirming that Respondent is listed as the registrant and providing Respondent’s contact details. In accordance with the Rules, paragraphs 2 and 4, the Center formally notified Respondent of the Complaint, and the proceedings commenced on October 5, 2017. In accordance with the Rules, paragraph 5, the due date for Response was October 25, 2017. The Response was filed with the Center on October 25, 2017. The Center appointed Stephanie G. Hartung, Sebastian M.W. Hughes, and W. Scott Blackmer as panelists in this matter on December 27, 2017. The Panel finds that it was properly constituted. Each member of the Panel has submitted the Statement of Acceptance and Declaration of Impartiality and Independence, as required by the Center to ensure compliance with the Rules, paragraph 7. Complainant is a company organized under the laws of Japan that manufactures automated teller and cash-sorting equipment for banks and retailers. – Word/device mark GLORY, USPTO, Registration No. : 0979860, Registration Date: March 5, 1974, Status: Active. Respondent is a company organized under the laws of the United States that provides enterprise analytics and mobility software. The disputed domain name was obtained by Respondent on or about February 1, 2003. As of the time of the rendering of this Decision, the disputed domain name does not resolve to any active website on the Internet. According to screenshots from the Internet Archive Wayback Machine of November 25, 2011 and January 2, 2014, Respondent in 2011 as well as in 2014 used the disputed domain name to promote its business intelligence services.  On October 24, 2016, Complainant sent a letter to Respondent requesting the opportunity to discuss the potential of transferring the disputed domain name to Complainant. Following further email correspondence between the Parties, on March 3, 2017, Respondent answered Complainant’s October 24, 2016 letter by offering to sell the disputed domain name to Respondent for a sales price greater than USD 10 million. Complainant submits that Respondent has no rights or legitimate interests in respect of the disputed domain name since Respondent has no corresponding name or mark and only used the disputed domain name briefly in 2011 and 2014 to advertise its services, and there is no evidence to suggest that Respondent has used or made demonstrable preparations to use the disputed domain name in connection with a bona fide offering of goods or services. Moreover, Complainant argues that Respondent registered and is using the disputed domain name in bad faith since (1) Respondent is the current registrant of 236 domain names of which 62 relate to “microstrategy”, and Respondent has been noted for buying potentially lucrative domain names; and (2) Respondent indicated its willingness to sell the disputed domain name for a sum in excess of USD 10 million while Respondent paid USD 115,000 to purchase the disputed domain name in 2003. Respondent does not dispute that the disputed domain name is substantially identical to Complainant’s GLORY trademark, but points to the fact that the records of the USPTO show 69 entries for trademarks solely consisting of the term “glory” and that, therefore, Complainant obviously is not the only party with rights in that common term. Further, Respondent maintains that it has rights or legitimate interests in respect of the disputed domain name since (1) it registered the disputed domain name without knowledge of Complainant’s GLORY trademarks, and Complainant apparently does not allege any fame or reputation in that mark in the United States or worldwide; (2) the disputed domain name may later be used for the promotion of future products or service offerings by Respondent under the name “Glory”; and (3) Respondent’s use of the term “Glory” as a trademark would not infringe upon Complainant’s trademark rights as Respondent’s products and services are nothing like the products of Complainant. Finally, Respondent argues that Respondent did not register the disputed domain name in bad faith because (1) at the time Respondent purchased the disputed domain name, it did not have any knowledge of Complainant’s GLORY trademark; (2) Respondent has owned the disputed domain name for over 14 years without ever contacting Complainant to sell the disputed domain name, and the figure it gave in response to Complainant’s inquiry was “ridiculously high”, demonstrating that Respondent had no interest in such sale; (3) Respondent first activated a fully functional website for its business under the disputed domain name back in 2003, however, since that time it has used the disputed domain name only as a place holder for its business and to direct users to its full website at “www.microstrategy.com”; (4) Complainant and Respondent are not in the same field of business and are not competitors; (5) Respondent owns registrations for domain names, many of which comprise the term “microstrategy” and various abbreviations, combinations and/or misspellings of that term (these domain names have been subsequently used by Respondent for products and/or service offerings), or the names of its principals or services; and (6) Respondent may still develop a product offering that will bear the GLORY trademark. Respondent has provided an affidavit by its Senior Executive Vice President & General Counsel dated October 24, 2017, in order to substantiate its submissions. The Panel concludes that the disputed domain name <glory.com> is identical to the GLORY trademark in which Complainant has rights. The disputed domain name incorporates the GLORY trademark in its entirety and there is a consensus view among UDRP panelists (see WIPO Overview of WIPO Panel Views on Selected UDRP Questions, Third Edition (“WIPO Overview 3.0”), section 1.11.1) that the applicable Top-Level Domain in a domain name (e.g., “.com”) is a standard registration requirement and as such is usually disregarded under the identity or confusing similarity test. Therefore, Complainant has established the first element under the Policy as set forth by paragraph 4(a)(i). It is undisputed between the Parties that Respondent neither has a name or a trademark corresponding to the term “Glory” nor has it been commonly known thereunder. As evidenced by screenshots from the Internet Archive Wayback Machine of November 25, 2011 and January 2, 2014, Respondent at some point used the disputed domain name to resolve to a website in order to promote its business intelligence services as more fully described at “www.microstrategy.com”. In this context, Respondent admits that it has used the disputed domain name simply as a place holder for its business and in order to direct users to its full website at “www.microstrategy.com” until Respondent developed a product or service offering that will bear the GLORY trademark. Besides, Respondent undisputedly holds a number of domain names, some of which relate to the term “microstrategy” while others are dictionary English words like the disputed domain name, e.g., <alarm.com>, <alert.com>, <angel.com>, <usher.com>, and <wisdom.com>. This Panel is well aware of the fact that it may certainly be a legitimate business to buy and sell non-infringing domain names including dictionary terms and to develop relevant websites corresponding thereto. However, in the case at hand Respondent has not demonstrated preparations to develop a relevant website or to otherwise commercialize the disputed domain name, but has merely indicated that it might do so in the future. 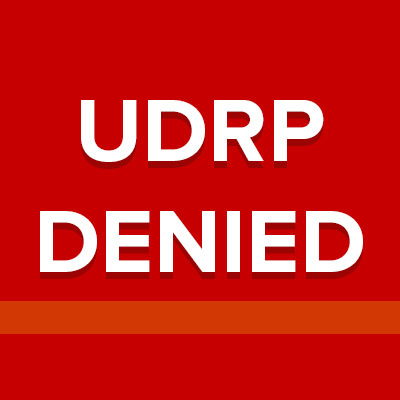 UDRP panels have also recognized and it has meanwhile become a consensus view that merely registering a domain name comprised of a dictionary word or phrase does not by itself automatically confer rights or legitimate interests on the respondent, but that in order to find such rights or legitimate interests, the disputed domain name should be genuinely used, or at least demonstrably intended for such use, in connection with the relied upon dictionary meaning and not to trade off third-party trademark rights (see WIPO Overview 3.0, section 2.10.1). In the case at hand, Respondent, by means of the affidavit of its Senior Executive Vice President & General Counsel, has substantiated that it may still develop a product offering that will bear the trademark “GLORY” and that it would then use the disputed domain name for its business if it develops a product and/or service offering to be used with that trademark. However, Respondent did not explain why it purchased the disputed domain name in 2003 for a significant purchase price of USD 115,000. This might have occurred because Respondent had concrete business plans for relevant website development or possibly simply because of the potential resale value of the disputed domain name as a single English word with a powerful, positive connotation in English. But without evidence of any commercial rights in the name or demonstrable preparations to use the disputed domain name, the Panel cannot find that Respondent has rights or legitimate interests in the domain name within the meaning of the Policy, paragraph 4(a)(ii). Accordingly, Complainant has established a prima facie case that Respondent has no rights or legitimate interests in respect of the disputed domain name. Having done so, the burden of production has shifted to Respondent to come forward with appropriate evidence demonstrating the contrary (see WIPO Overview 3.0, section 2.1). This Panel agrees, that on the basis of the facts of this case Respondent has not met its burden of producing evidence of such rights or legitimate interests. The Panel has taken into account Respondent’s use of the disputed domain name in 2003 in respect of its website at “www.glory.com”, which apparently simply redirected (without explanation as to why) to Respondent’s “www.microstrategy.com” website. In all the circumstances, including in particular Respondent’s statement on oath that Respondent is not currently using the disputed domain name, but “may still develop a product offering that will bear the trademark GLORY”, the Panel does not consider that such prior use was sufficient to establish rights or legitimate interests in the disputed domain name. The question, therefore, for this Panel remains to decide whether or not Respondent has registered and is using the disputed domain name in bad faith. Bad faith under the UDRP is broadly understood by UDRP panels to occur where a respondent takes unfair advantage of or otherwise abuses a complainant’s trademark (WIPO Overview 3.0, section 3.1). The disputed domain name is made up of a common dictionary word in the English language, namely the term “glory”. Complainant’s GLORY trademark, in turn, is made up of this very term alone and Complainant has not demonstrated that its GLORY trademark is famous or well known (particularly not in the United States where Respondent is located). Moreover, the Parties apparently are not competitors in the same business, and Complainant is not engaged in the distribution of consumer products. This Panel, therefore, is willing to accept that Respondent purchased the disputed domain name in February 2003 without any knowledge of Complainant’s trademark rights in the term “glory”, as it has been laid out in the affidavit of Respondent’s Senior Executive Vice President & General Counsel of October 24, 2017.  This Panel’s finding is also supported by the fact that Respondent undisputedly never attempted itself to contact Complainant with the offer to sell the disputed domain name, but that Respondent quietly held the disputed domain name for 13 years. Upon being contacted by Complainant, Respondent at first ignored Complainant’s letter of October 24, 2016, and Complainant’s following emails of January 11, 2017 and March 1, 2017, and only finally responded with an unreasonably high demand on March 3, 2017, asking for a sales price greater than USD 10 million, which Respondent says it could not believe the Complainant would accept. To sum up, Complainant did not demonstrate that Respondent registered and is making use of the disputed domain name in bad faith, thus Complainant has failed to prove that the third element under the UDRP is fulfilled. They wanted the Name Glory just lost money down Hole.